Hello, lovelies~ Another review post from Beyond skincare because I have lots of Beyond products to review. I still have the BB Cream and sheet face mask waiting in line to be published. Today, I want to share my experience with the Angel Aqua collection. 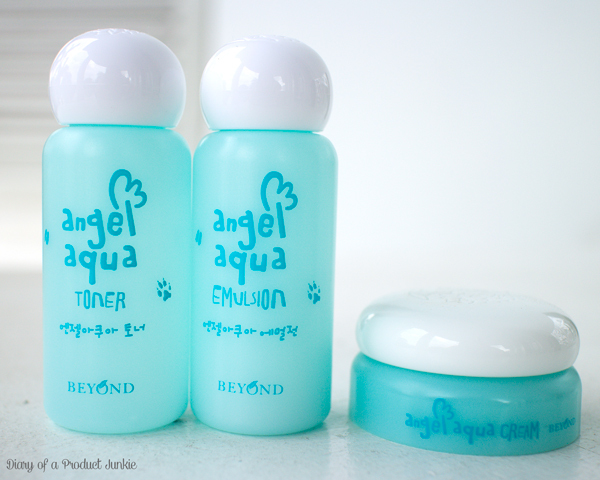 The Angel Aqua set comes with a toner, emulsion, and a cream in less than 20 ml size. I like the idea of miniature or deluxe samples because I don't have to commit buying the full size in the beginning. Having a sensitive skin has resulted in lots of full sized skincare that collects dust in my vanity corner. I am not usually a fan of toners, but this one is an exception. It has a transparent, gel like consistency that sinks in quite fast within seconds of application. My skin feels plump without being sticky or greasy. 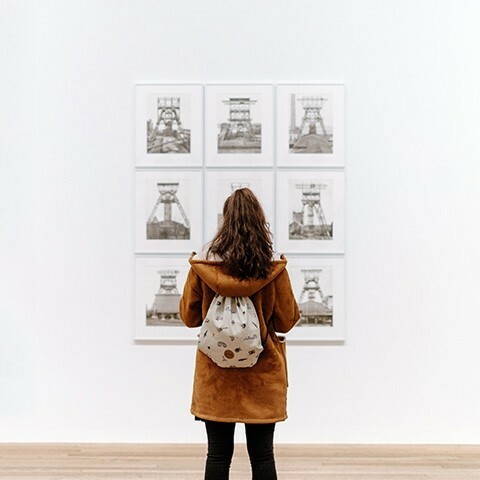 The consistency of the emulsion is almost similar to a gel, but slightly runnier with a white color. Unlike the toner, this take around half a minute to be absorbed. It moisturizes my combination/oily skin without leaving a greasy or sticky finish. The second last step of my current skincare routine is applying this almost-transparent cream that actually has the consistency of a gel. However, it's thicker than the Angel Aqua toner (of course) that it won't fall when it's flipped upside down. Similar to the emulsion, it moisturizes my skin without leaving any greasy or sticky finish. Just love it! In conclusion, the Angel Aqua set is a great buy for me because it allows me to try them before buying the full size. From the three, my favorite has to be the emulsion because of the lightweight, non-sticky, non-greasy feeling I get on my well-moisturized, plump skin. However, I couldn't give you a rundown of the ingredients list because I lost the box that it came with. I'll try my best to search for it online as best as I can. as far as I can remember when looking at the full size products in the store, there weren't any alcohol, mineral oil, or petrolatum. ce phanie I MISS READING YOUR BLOG....huhuhu sibuk banget, blogwalking aja aku ga sempet apalagi ngeblog huhu. ini keliatan meyakinkan ya, beyond ini ga populer di online shop tapi kayanya dari review-review, dia termasuk oke juga. should give it a try....maybe :D penasaran cream nya! Ah ini menarik banget buat di cobain ci. :) kalau moisturizer yang lg dipakai sekarang sudah habis coba ini ah :) thank you for sharing. lebih cocok utk oily/dry skin seri ini ce? Hi, Widya~ Kalo menurutku lebih untuk kombinasi.